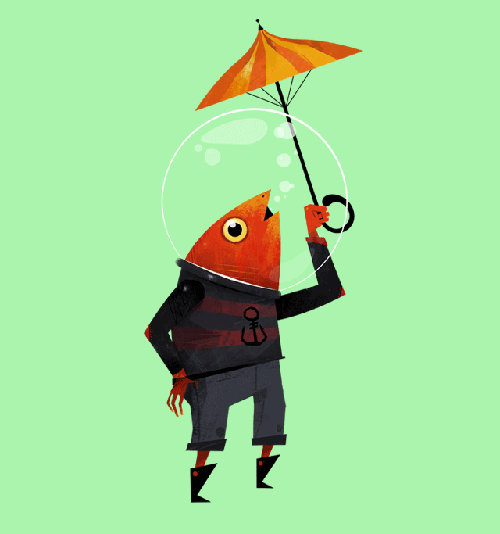 Threadless has always been one of the coolest site’s around for getting rockin’ tees—designers submit illustrations and then the community votes for their favorite designs and the top picks are produced each week. It’s an endless rotation of cool, fun, graphic shirts. 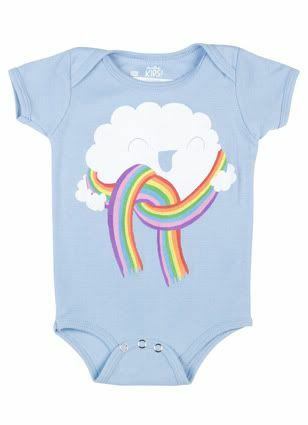 Sooooo you can imagine how deeeelighted I was when I discovered the sassy spawn of Threadless: Threadless Kids. If you are lucky enough to live in Wicker Park, Chicago you can hit their actual store front, but for the rest of us we’ll have to shop online. 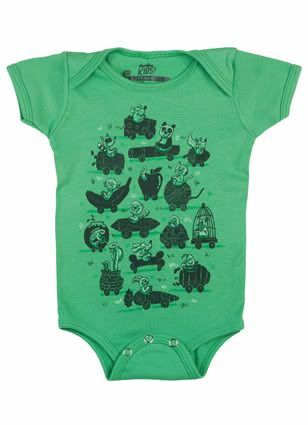 And great news, they’re having a HUGE SALE and all onesies, tees and hoodsies (a onesie with a hood, doncha know!) are $9 clams. YEOWZA! 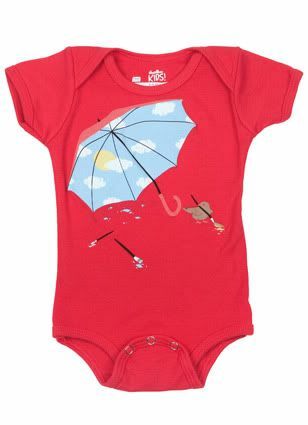 Methinks we’re gonna have some totally groovy arty bebe’s out there after this post! 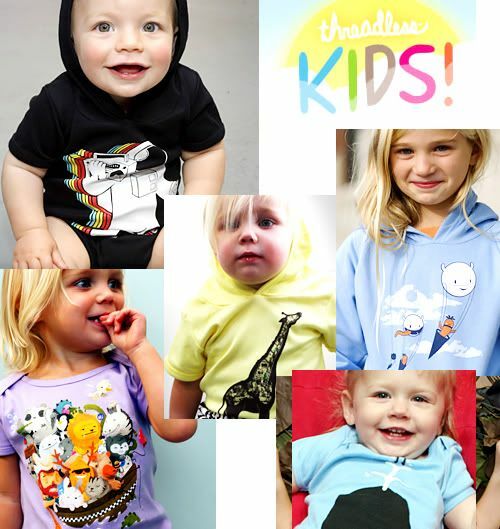 There are TONS more styles (and they have sizes up to 6-8 for bigger kiddos) so swing by Threadless Kids to check ’em out! 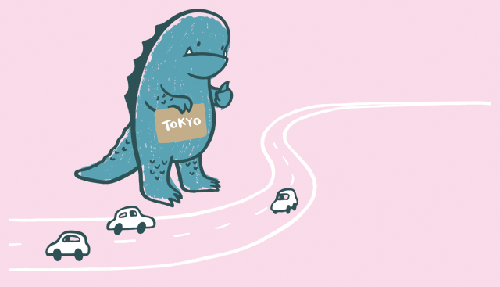 UPDATE: Thanks to our sweet reader Esther who reminded me that Threadless tees run SMALLLLL. I would recommend sizing up just to be safe! 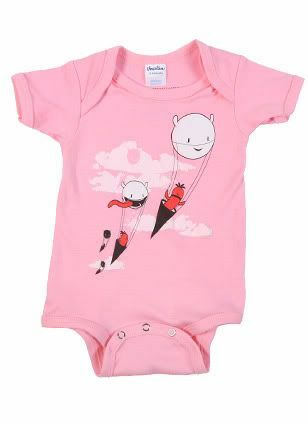 Tagged with cool t-shirts for kids, Threadless kids. 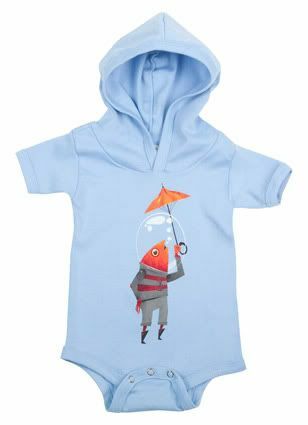 Oh my gosh that hooded onesie with the fish is magical. Thanks for the link! Again! I adore the rainbow scarf-ed cloud! To die for! Oh, you should never have shown me that!! 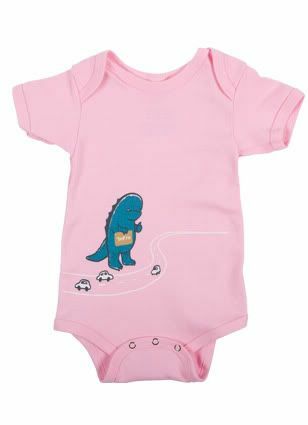 I just bought 5 of them–but at $10 each (including shipping), how could I not, when they are THAT CUTE??? They seriously make me wanna have a little baby again. 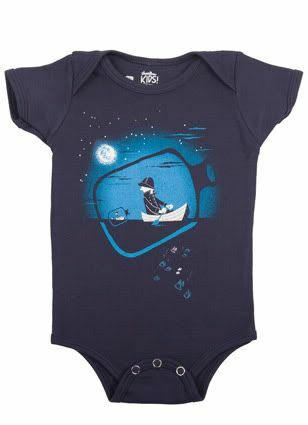 Although I’m browsing the Big Kiddo section for Wolfie…..Elizabeth you need to send us pics of your cutie modelling the shirts!! I now have a go-to place for baby onesies! 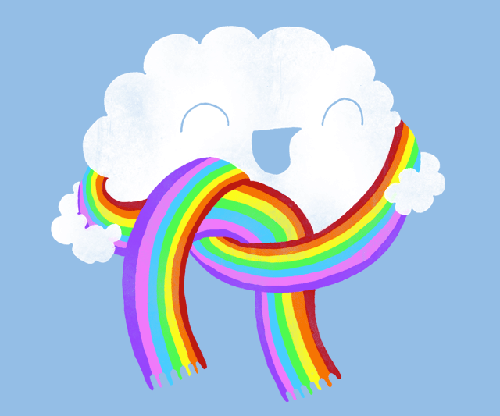 I want a rainbow scarf as cute as that cloud’s one. And piano teeth on the whale? Just bliss! I know! This place is the BEST! We used to just live up the street from there when we were still in the city. Just as a tip- I’ve bought lots of the threadless kids shirts and the shirts shrink a lot! My 4yo (average size in other products) is wearing the 6yo size and they are almost too short to let him out of the house in. My 19 month old (also very average size) wears his hand-me-down 4yo size shirts right now. we LOVE threadless around here. that’s where 90% of my son’s shirts have come from and the baby girl just got her first. they have the nine dollar sales with some frequency and a flat $5 shipping rate. they were brilliant to start offering styles in children’s sizes. i think i have to agree about the sizes running a little small. my very tiny just-turned-4-year-old received a size four shirt for his birthday and it fits him just right. 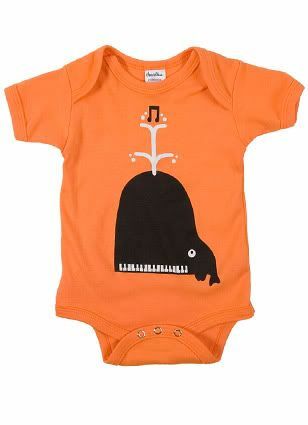 We are in love with Threadless! I always wait for their $10 sales and stock up! just wanted to let you know your link to the hoodsies isn’t going to the website for the threadless company. they look amazing and i did manage to find them. thanks for sharing!